Since our initial post on malicious mobile device management (MDM) platforms, we have gathered more information about this actor that we believe shows it is part of a broader campaign targeting multiple platforms. These new targets include Windows devices and additional backdoored iOS applications. We also believe we have associated this actor with a very similar campaign affecting Android devices. With this additional information, we have been able to build a profile of how the MDM was working, as explained in the previous post, while also allowing us to identify new infrastructure. We feel that it is critical that users are aware of this attack method, as well-funded actors will continue to utilize MDMs to carry out their campaigns. To be infected by this kind of malware, a user needs to enroll their device, which means they should be on the lookout at all times to avoid accidental enrollment. In the new MDM we discovered, the actor changed some of their infrastructure in an attempt to improve the MDM's security posture. We also found additional compromised devices, which were again located in India, with one even using the same phone number linking the MDM platforms, and one located in Qatar. We believe this newer version was used from January to March 2018. 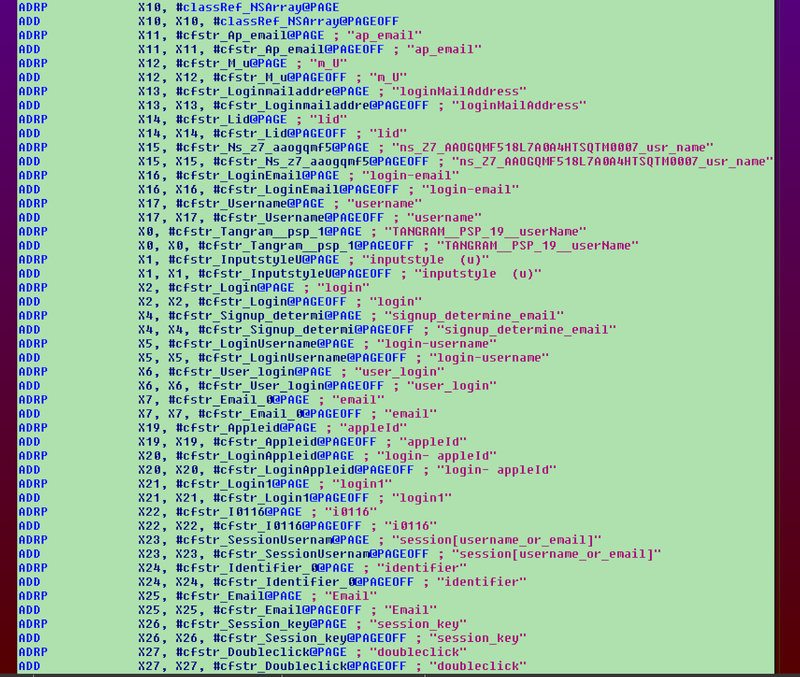 Similar to the previous MDM, we were able to identify the IPA files the attacker was using to compromise iOS devices. Additionally, we discovered that malicious apps such as WhatsApp had new malicious methods tacked onto them. During this ongoing analysis, we also looked into other potential indicators that would point us toward the actor. We discovered this Bellingcat article that potentially links this actor to one they dubbed "Bahamut," an advanced actor who was previously targeting Android devices. Bahamut shared a domain name with one of the malicious iOS applications mentioned in our previous post. There was also a separate post from Amnesty International discussing a similar actor that used similar spear-phishing techniques to Bahamut. However, Cisco Talos did not find any spear phishing associated with this campaign. We will discuss some links and potential overlapping with these campaigns below. Talos identified a third MDM server that we believe was used by this actor: ios-update-whatsapp[.]com. A fake company, Tech Big, which was allegedly located in Hong Kong, had this certificate issued to it in January 2018. 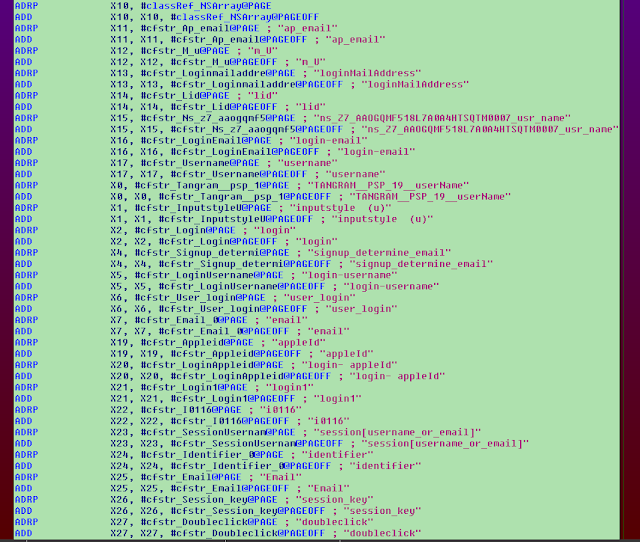 The logs showed us that the MDM was created in January 2018, and was used from January to March of this year. Talos identified two other malicious Telegram and WhatsApp apps. The attacker built these apps by adding malicious capabilities to existing Telegram and WhatsApp applications. The malicious aspect of the apps is the same as what we described in the previous post. The only difference is the command and control (C2) obfuscation. The URLs are not stored in plaintext, but are encrypted with data encryption standard (DES) and encoded in base64. IMO is a chat and video app available on mobile devices. We identified a fake application that pretended to be IMO. The attackers used the same technique to add malicious code to the legitimate application: BOptions sideloading technique. For more information about this technique, we recommend reading the previous blog post. Talos has also discovered a malicious Safari application available on the third malicious MDM. For this application, the attackers did not use the BOptions sideloading technique. It's a malicious browser developed from scratch and based on three open-source projects: SCSafariPageController, SCPageViewController and SCScrollView. The purpose of this browser is to steal sensitive information from the infected device. First, the app sends the universally unique identifier (UUID) of the device to the C2 server. Based on the server response, the malicious browser will send additional information, such as the user's contact information (picture, name, email, postal address, etc. ), the user's pictures, the browser's cookies and the clipboard. The malware checks for a file named "hib.txt," and if the file doesn't exist on the device, it displays an iTunes login page in an attempt to harvest the user's login credentials. Upon entering the credentials, the email address and password are sent to the C2 server. Additionally, these credentials get written into the file and the user is considered "signed in." The most intriguing part is the credential stealer. If the browsed domain name contains one of the following strings, the malware will automatically exfiltrate the username and the password of the user to the C2 server. 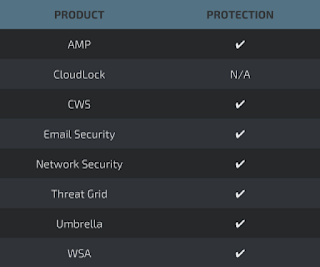 Most notably, there is the presence of secure email providers, among a variety of other web services. The malware contains a similar list concerning the password field. The purpose of the malicious extensions are very similar to the previous ones — it sends off stored data to the same C2 server as the other apps. In the core and the plugins, the C2 server is encoded in base64 and encrypted in AES instead of DES. The Bahamut group was discovered and detailed by Bellingcat, an open-source news website. In this post, the author was discussing Android-based malware with some similarities to the iOS malware we identified. That post kickstarted our investigation into any potential overlap between these campaigns and how they are potentially linked. The new MDM platform we identified has similar victimology with Middle Eastern targets, namely Qatar, using a U.K. mobile number issued from LycaMobile. Bahamut targeted similar Qatar-based individuals during their campaign. We identified an overlap in the domain voguextra[. ]com, which was used by Bahamut within their "Devoted To Humanity" app to host an image file and as C2 server by the PrayTime iOS app mentioned in our first post. Bellingcat also reported the domain had been used previously to host potential decoy documents as detailed in VirusTotal here using hxxp://voguextra[.]com/decoy.doc. The domains also had similar structures for the domain name (they are formatted [word]-[word]-[word]) across both campaigns. Actors tend to stick with similar structures, especially if they have had success in the past. Once we started profiling the domains, we quickly noticed a strong link to India. With access to historical whois and hosting information, we were able to determine that the three MDM domains pointed to an Indian nexus. All three domains used a privacy proxy to register their domains. However, what the actor did not do was create nameservers upon registering the domains. This allowed us to discover that two of the three domains were registered with Indian registrars and hosting providers. The three domains identified for MDM use were ios-update-whatsapp[. ]com, ios-certificate-update[. ]com and www[.]wpitcher[.]com. The nameserver used initially was obox.dns[. ]com, which is owned by the India-based Directi platform, is an Indian registrar and was the original nameservers used by this domain. This later changed to being [ns1-2].ios-update-whatsapp[. ]com, which suggests this domain was potentially registered and purchased in India. 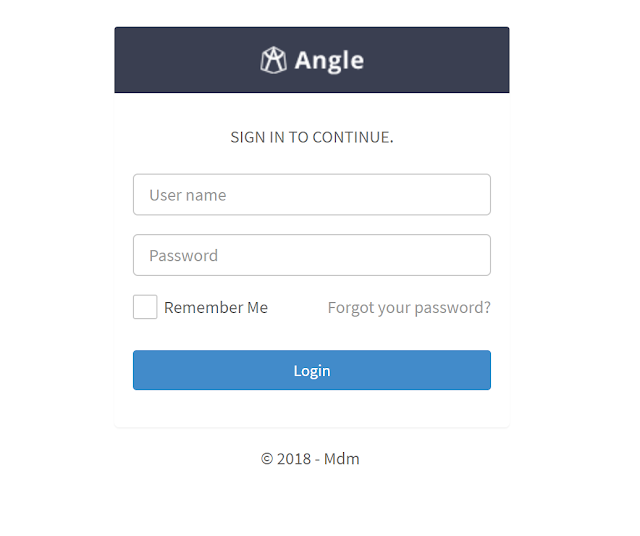 This domain initially used nameservers related to the Indian company MantraGrid, an India-based cloud platform that shows another link to an Indian actor by using this as one of the original MDM domains we identified. This domain used a similar structure to ios-update-whatsapp[. ]com and also shared the same privacy proxy as the other two domains listed above relating to the MDM activity. This was one of the first registered domains and was using a bulletproof hosting platform in Panama. Finally, Bellingcat, via Tom Lancaster, identified similarities with a previous InPage campaign reported by Kaspersky which shows similar URI structuring, as well as victimology. The InPage attack targeted Urdu-speaking Muslims, which further increases the likelihood that the victims are Indian-based because Urdu is a dialect primarily spoken in India and Pakistan. With our attacker, we identified that the MDM was also taking advantage of an application called PrayTime — a popular app for Muslims that alerts them to complete their daily prayers. With all of this taken into consideration, we assess with moderate confidence that the attacker is located in India. Additionally, we assess with low confidence that the campaign we discovered is linked to the Bahamut group. Talos identified several malicious binaries that could be used to target victims running Microsoft Windows operating systems using the same infrastructure as the malicious app mentioned in our previous article, techwach.com. We know that the MDM and the Windows services were up and running on the same C2 server in May 2018. The purpose of this malicious Windows binary is to get information on the infected device (username and hostname), send this information and retrieve an additional PE32 file if the operator estimates that the targeted system is relevant. We found additional similar samples between June 2017 and June 2018 with different C2 servers. The attackers have two kinds of samples: one developed in Delphi and one developed in VisualBasic. Some of the C2 servers are still up and running at this time. The Apache setup is very specific, and perfectly matched the Apache setup of the malicious IPA apps. Additionally, we identified the infection vector of one of the Windows malware. The attackers used a malicious RTF (a1f2018bd61989a78247df53d808b6b513d530c47b89f2a919c59c848e2a6ac4) abusing the CVE-2018-0802 vulnerability in order to drop and execute the last binary of the previously mentioned list. This decoy document is using a news story image found on the India Today newspaper website here, which is describing the Naga peace accord. 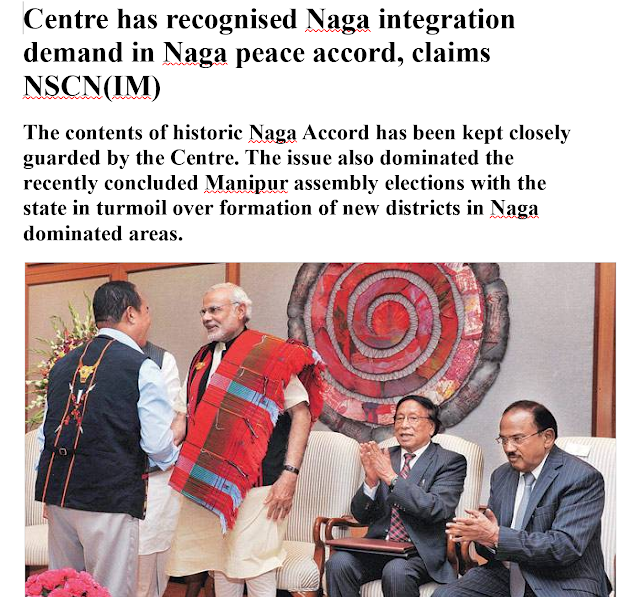 The Indian targets in this campaign are likely very interested in this topic. Since researching our original blog post, we have discovered that an actor has been operating these malicious MDMs for many years. Based on previous research regarding the Bahamut group and our research, we believe the observed infrastructure is not limited to iOS targets, but is part of a broader framework that supports Apple iOS and Windows platforms. This actor is likely located in India, given what we see in the technical elements. While the attacker's infrastructure throughout the entirety of the operation seems very similar to the one used by the Bahamut group, and they may even be connected, it is not possible to assert with high confidence that it is Bahamut at this time. The use of a malicious MDM is convenient and the system is well-documented. Given the effectiveness of MDM abuse, it's likely that well-funded actors will continue to move into this area. 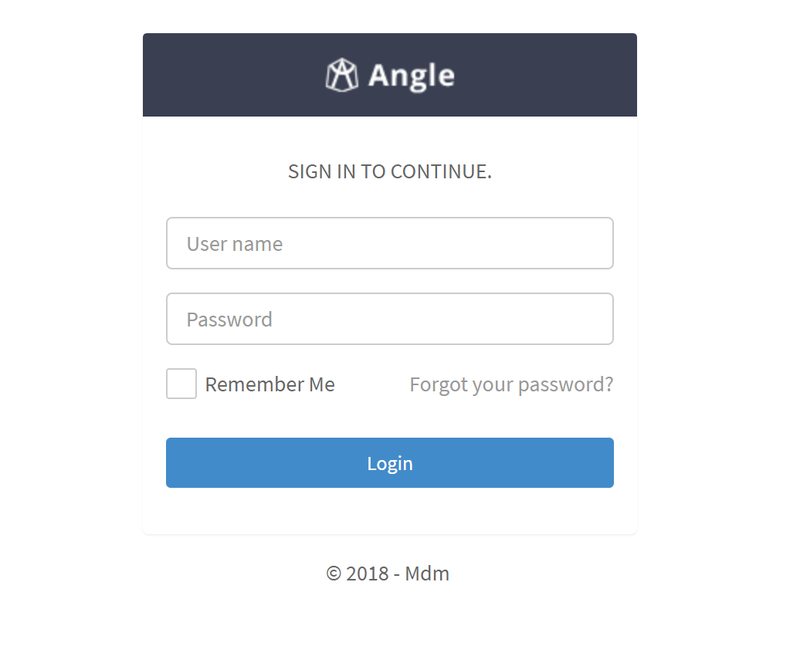 Because enrollment into the MDM requires user interaction and acceptance, it is crucial that they are aware of this type of threat and the dangers it can pose to their data and privacy. Talos will continue to keep an eye on MDM and similar infrastructures to ensure we are reporting the latest information and forcing the bad guys to innovate. 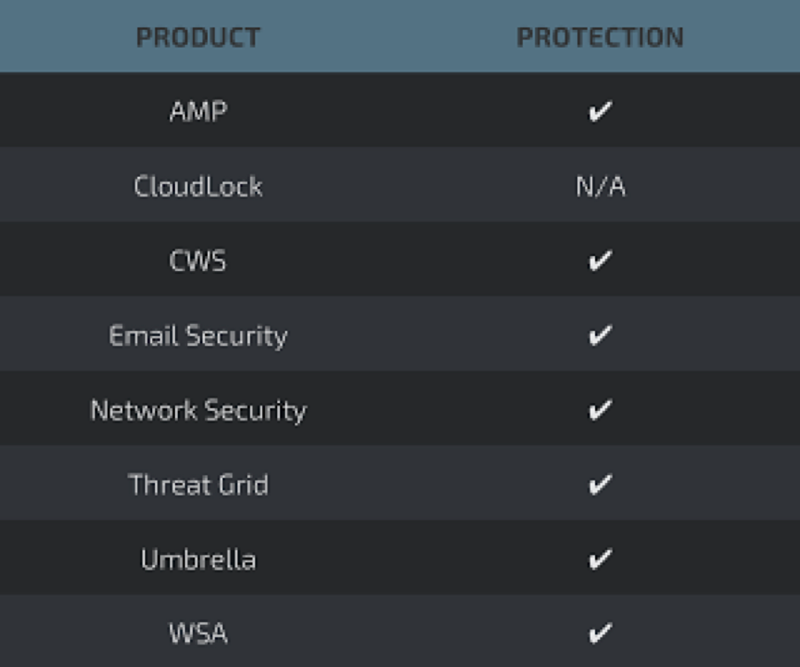 AMP Threat Grid helps identify malicious binaries and build protection for all Cisco Security products.